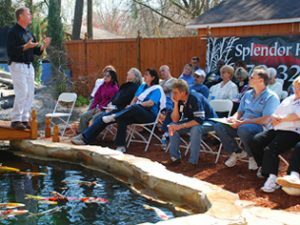 Splendor Koi and Pond is your premier resource for all of your pond or water garden needs. From design and construction to maintenance and fish, we offer everything you require to enjoy your very own place of Splendor. We offer a full line of pond supplies, including filtration systems of all sizes, aeration systems, heaters, skimmers, plumbing equipment, leak repair kits and much more. In addition, our full-service showroom houses the largest selection of high-quality koi in the Southeast. Here at Splendor Koi and Pond, we strive to provide you with everything you need to achieve your very own place of splendor. Everything we do is designed to enhance the natural beauty of a koi pond, all while focusing on the health of the fish that inhabit it. Maintaining a pond is difficult work, and not everyone is up to the job. The solution? Allow us to do the work for you. 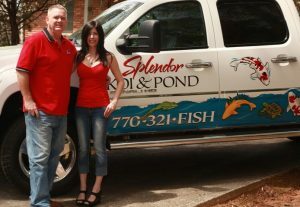 We offer a full spectrum of on-site pond services, including maintenance, construction, consultation, and repairs. In short, we’ll take care of your pond so you have more time to enjoy your very own personal oasis. Our stunning selection of high-quality Japanese koi is a sight to behold. Visit our showroom today to select your new favorite koi, or give us a call and we’ll hand select a beautiful arrangement for you. Your new koi are just a phone call away!